REMINDER: Clubs wising to enter teams need to respond by 30 April 2014. 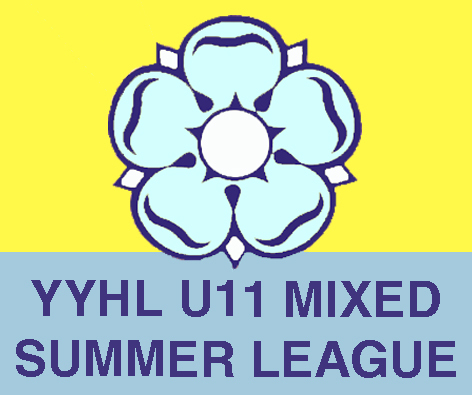 Time to start encouraging your Under-11 players to play in this year's YYHL Under-11 Mixed Summer League! Matches start on Sunday 11 May (Week 1) with five sessions, the last one being Finals Day on Sunday 20 July. All sessions are on Sundays running from 10.00 a.m. through to 1.00 p.m.
New teams will be accepted at any time.